The New York University School of Medicine has announced plans to give every student a full ride. The university will now cover the annual tuition costs of $55,018 for current and future students, regardless of need or merit. About 90 first-year students and 350 students who have up to three years left before obtaining their degrees will be eligible for the program. The school says that it will refund out-of-pocket tuition payments and return loans already paid for the current year. The majority of the roughly 20,000 students per year enrolled in American medical schools use federal loans to fund their studies. 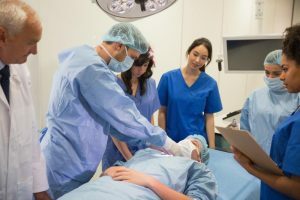 The Association of American Medical Colleges reports that about 72 percent of the class of 2017 had debt from medical school, holding a median of $180,000 in medical education debt. About 62 percent of NYU’s School of Medicine graduates have some debt when they graduate, with the average debt incurred by members of the class of 2017 standing at $184,000.